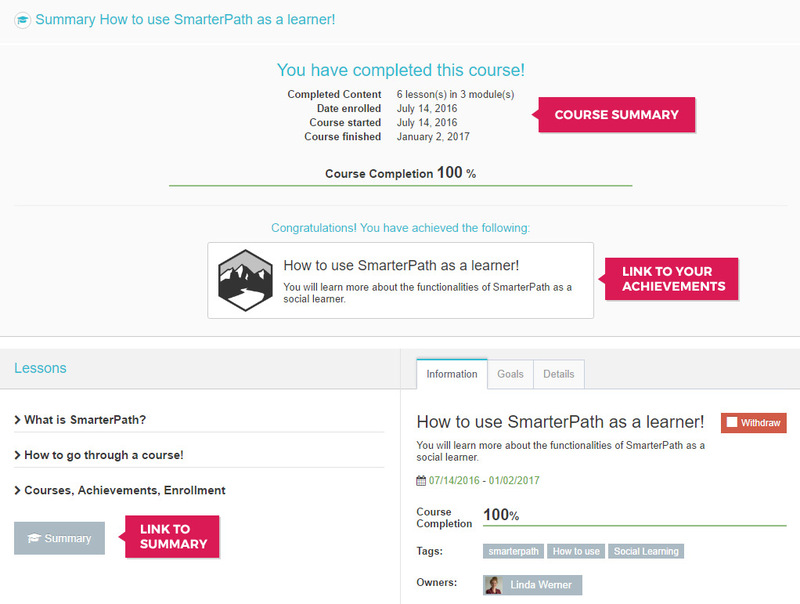 We are very happy to introduce SmarterPath 2.0 to all of you! Since we implemented quite a few changes with the last release in late December we wanted to give you a brief overview of the new features. 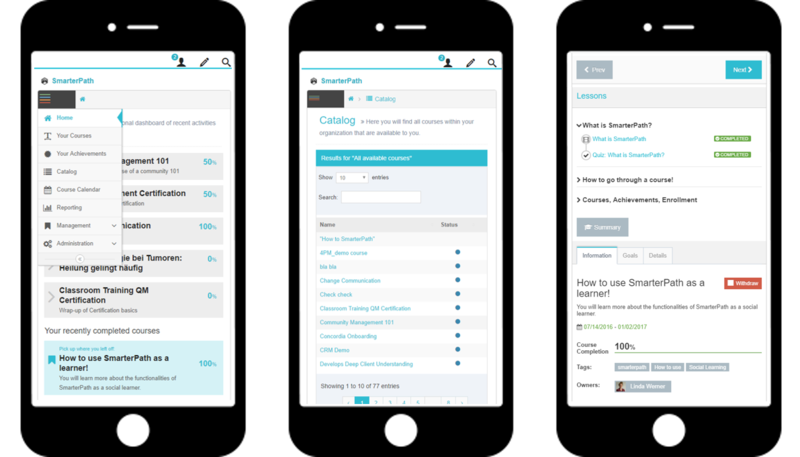 Most of the major improvements affect the view and visible features for learners, such as: a course summary, exam layout, a better mobile view and the frequently requested feature to have learners complete the lessons in a course in order. Jive Community Content that is a Blog Post, Document or Discussion will be directly visible in the lesson view and so a learner can click “Next”. If you integrate Jive Community Content that is a Video, Idea, Event or Poll, the description field of that content AND a call to action button, like “Open new window to watch this video!” is visible to a learner. A learner then has to open this content in a new window in order for this lesson to be tracked as complete. Community Action – Follow Place or Follow a Person: Learners can complete this lesson by following the given place or person. External Content: Some websites cannot be viewed within the SmarterPath iframe. To make sure a learner still visits that website we integrated a call to action button “Open in new window” that learners have to click on. Embedded YouTube videos and uploaded videos in the SmarterPath asset library: Learners have to click play. Uploaded Office Documents in the SmarterPath asset library: Learners need to click on a “slide” and view it. The ILT lesson view received a minor overhaul as well. Learners will now be able to see the instructors for each session and navigate to their user profile. Additionally, the description field is bigger to allow for more detailed information, the timezone is visible if set up and the learner can see how many remaining places there are for each session. 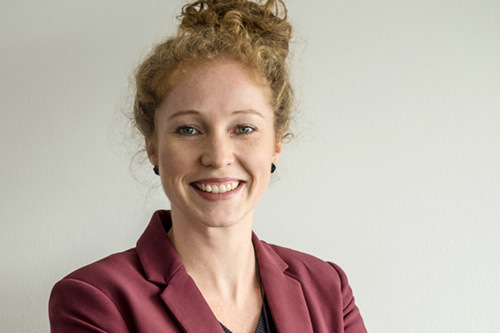 After enrolling in one session the learner can also withdraw from it. We are really happy to tell you that all learners will get a course summary with this new release. When a learner finishes the last lesson of a course he/she will get a general course summary as shown below. Furthermore, learners will get a direct link to his/her achievements to then print it if needed. 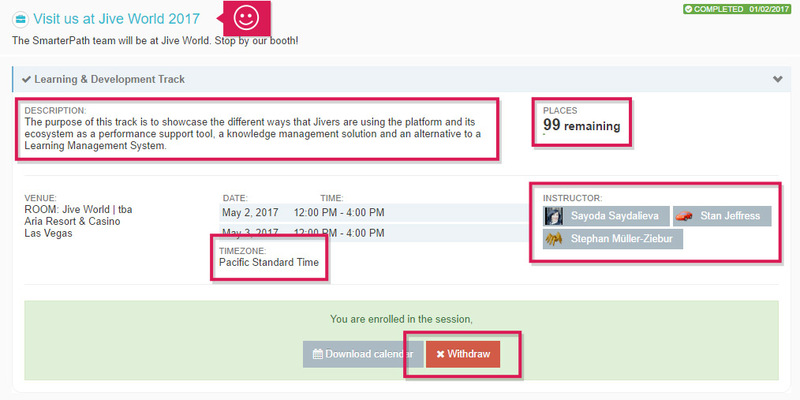 As you know SmarterPath offers discussions at the course level that automatically get saved in the group or space a course is linked to. You can now unfold the last answers to a question or comment directly and reply to it by clicking on the discussion itself. If the Jive discussion is a question that has been “marked as correct” it will be visible and highlighted in green just like you are used to from Jive. 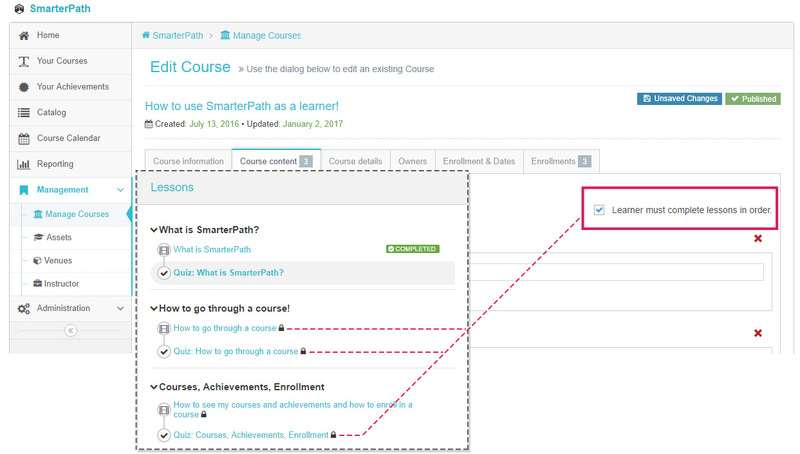 Info: Every newly created discussion in a course gets an individual tag that makes it possible for SmarterPath to assign the discussion to the right course. If you delete the tag the discussion will not be visible below the course anymore. For Creators: You will now be able to drag and drop exam questions while creating and editing exams. Additionally, you can find the exam results (score in %) in the reporting. 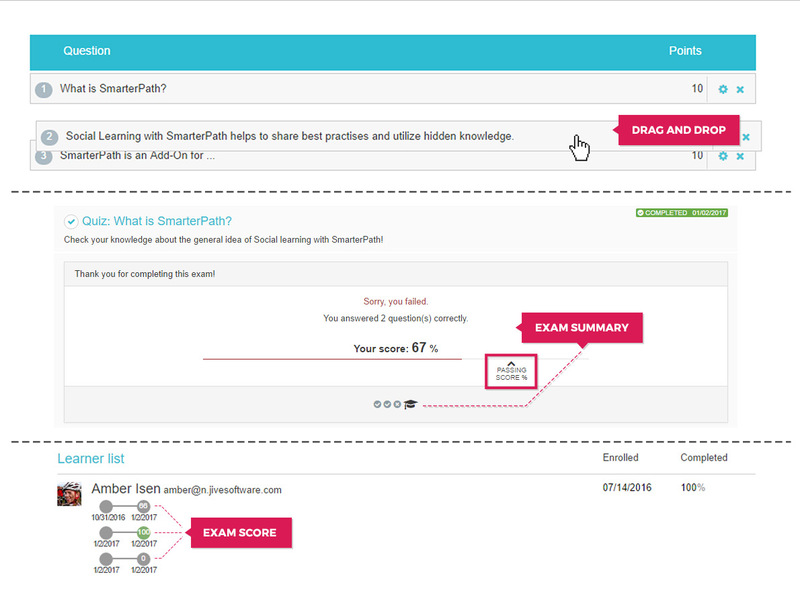 For Learners: Learners get feedback per question while taking the exam. The bubbles below the exam will show what questions were answered correctly or incorrectly and by clicking on these learners can review each question afterwards. After finishing an exam learners will get a summary. If a passing score is set (e.g. 80% in the screenshot below) the learner will be able to see how far off he/she is. Do you want your learners to follow the order of the lessons that you provided? When creating or editing a course you can now check the box “Learner must complete lessons in order” in the second step. This will lock all lessons until the previous one is completed. Use SmarterPath on your mobile device or take a look at the screenshots below. Significant improvements have been made – especially in the views for learners – so happy training while travelling! Who can app mention a lesson? The purpose of app mentioning a lesson is to share a piece of content that is used in a course. It is no longer possible to app mention exams and ILTs because the context of a course is necessary. Who can app mention a course? Who can open app mentioned lesson? Everyone can open an app mentioned lesson. No record of who opened an app mentioned lesson is being recorded nor is the user being enrolled in the associated course. Who can open app mentioned courses? Do you want to share any thoughts or ideas regarding the SmarterPath Release 2.0? We are more than happy to receive your feedback through our Helpdesk!